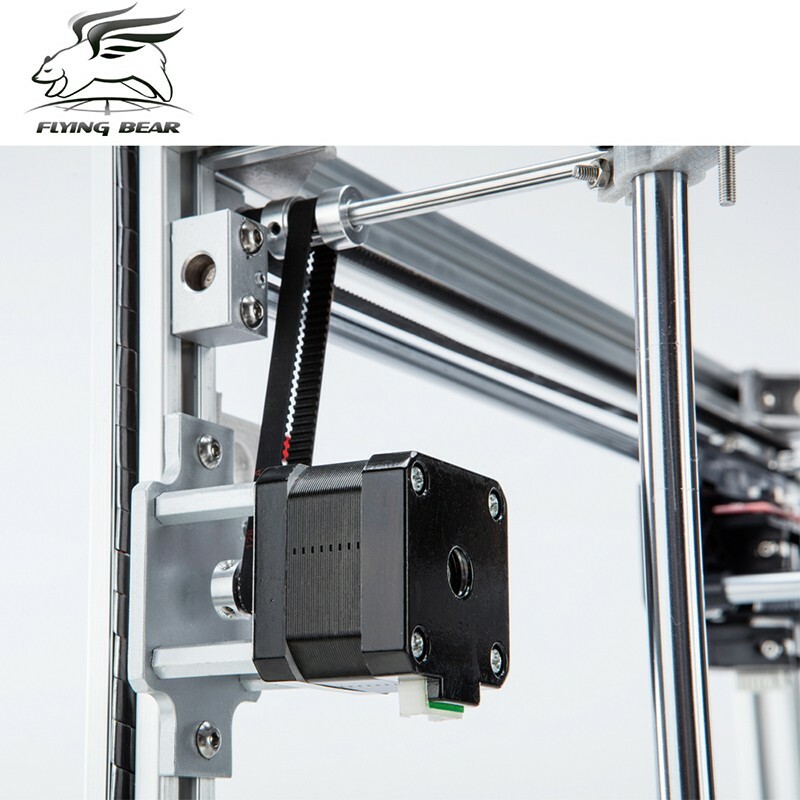 The Flying Bear is for virtually anyone interested in 3D printing. 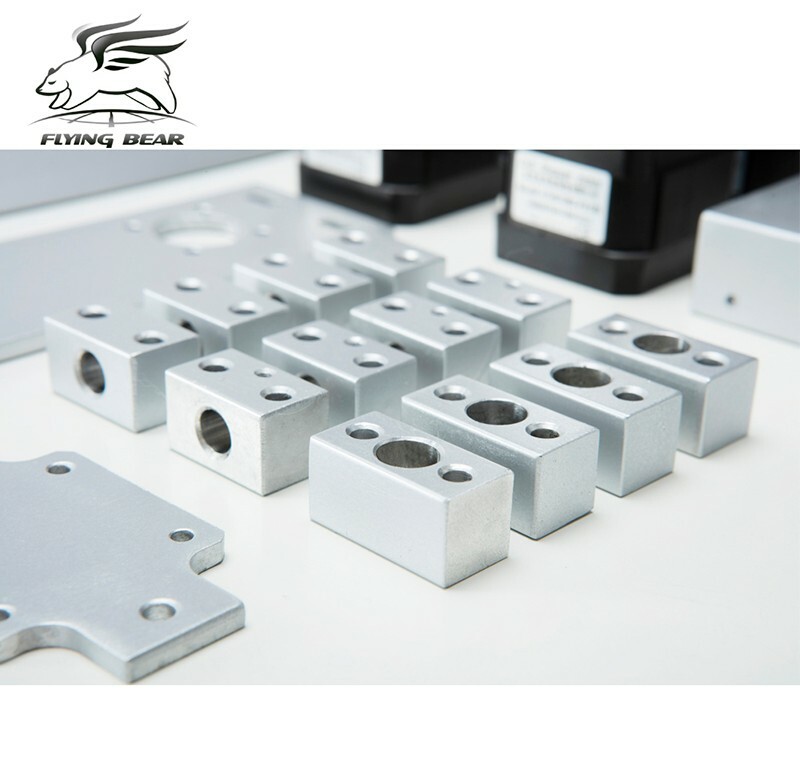 Whether you’re a hobbyist looking to create a thoughtful birthday present or you need a machine in the lab to create precision parts, look no further than Flying Bear. 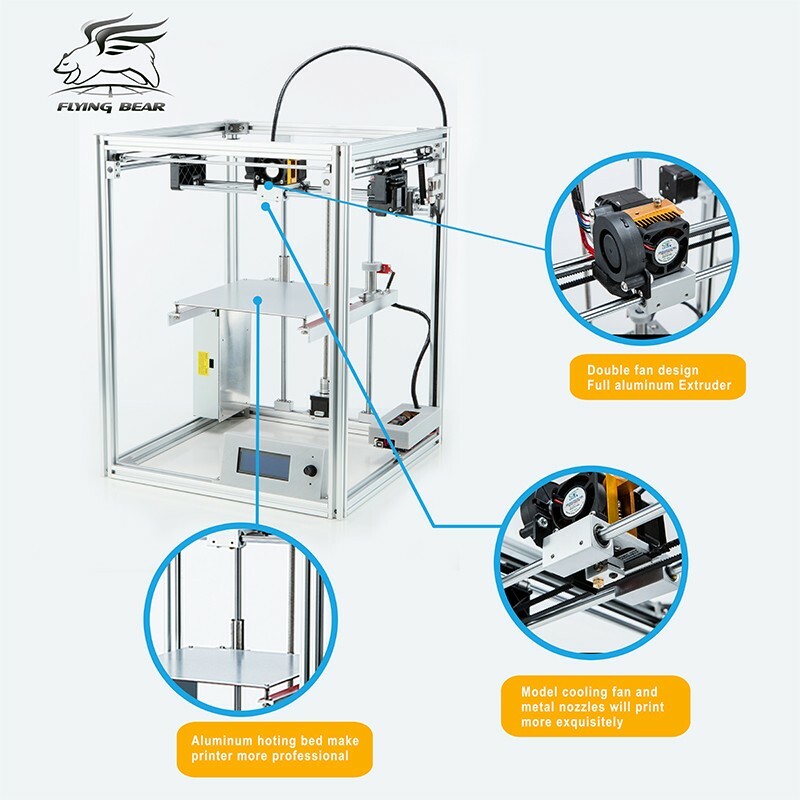 Machine has the same structure as the Makerbot,running faster and has less noise. 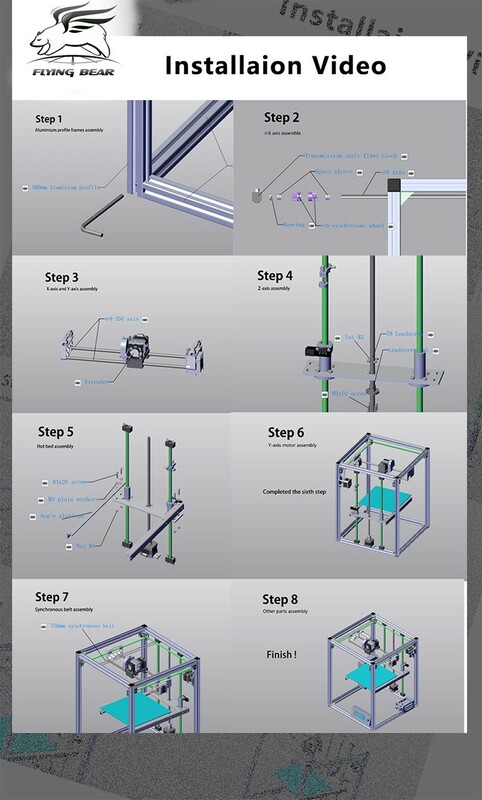 The print size of our machine is 220*220*280. 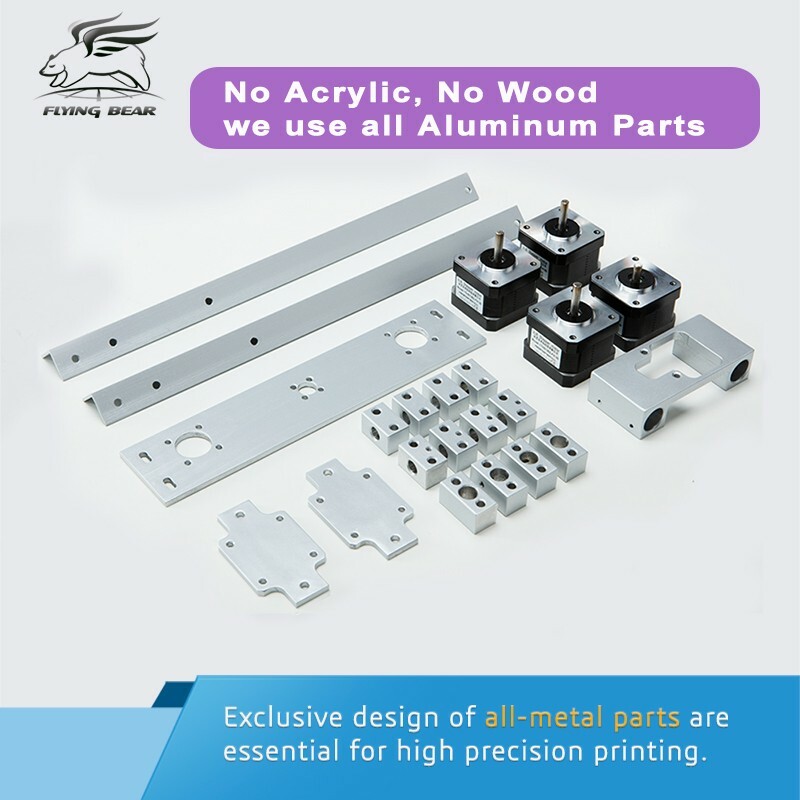 Double fan design full aluminum Extruder. 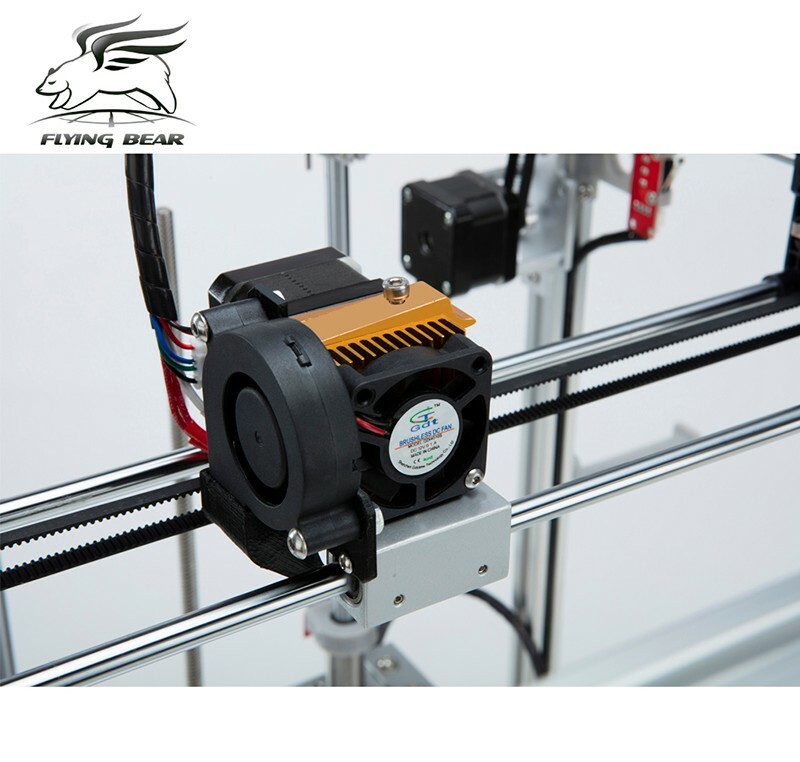 Mainboard, the extruder, the model all equipped with cooling fans, which allows the printer to print for a long time.This is not available in the general printer!! Print size: 220 X 220 X 280mm. 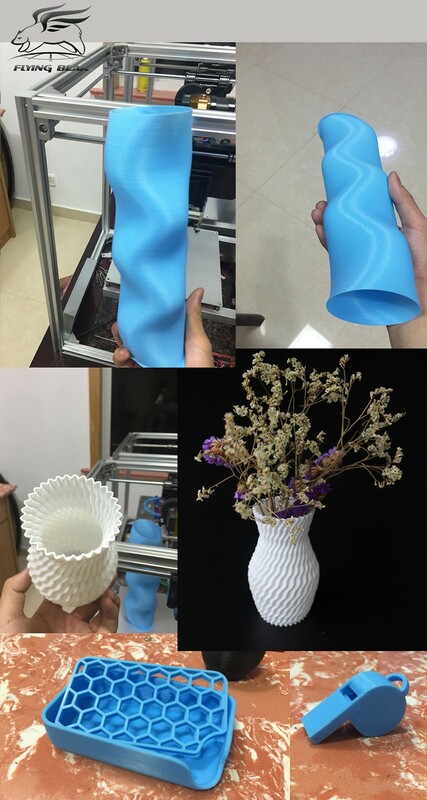 Nozzle diameter: 0.4mm (customized 0.2mm/0.3mm). 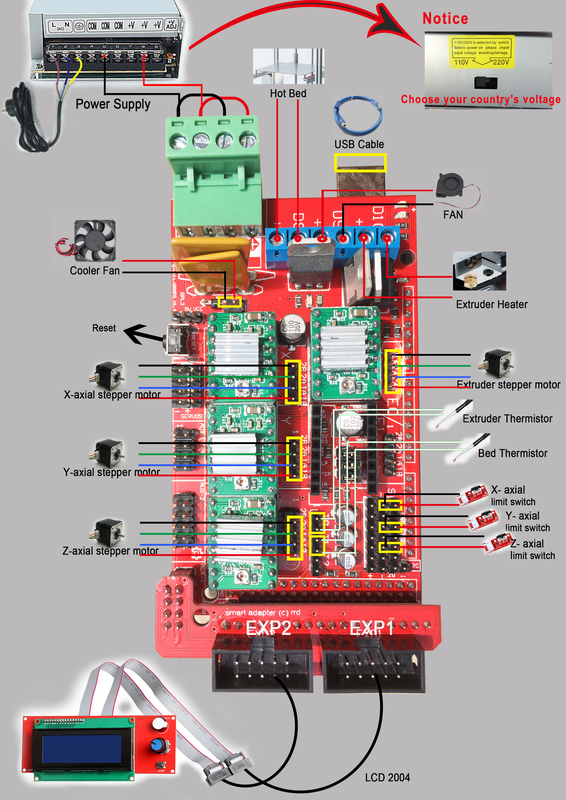 Recommended extruder temperature: 210°C (the maximum 260°C). Hot bed temperature: 60-110°C . Power requirements: 110V/220V, 250W, 50Hz, 0.89A. Just got this printer a few days ago, still building. Shipping was fast, well packaged. So far the quality looks pretty good, assembly is going along without problem so far. The metal parts seem sturdy and well made. A couple of the screws were too short (mounting Z axis plate to linear bearings, 8mm should have been 10mm) but that was easily remedied. Been playing around with my printer the last couple days after it arrived and I'm happy with the quality and how easy it is to use. The build took some time but wasn't too hard to figure out. The were some bolts that were either too long or too short but with all the spare I made it work. Overall pleased with the order process and the product. 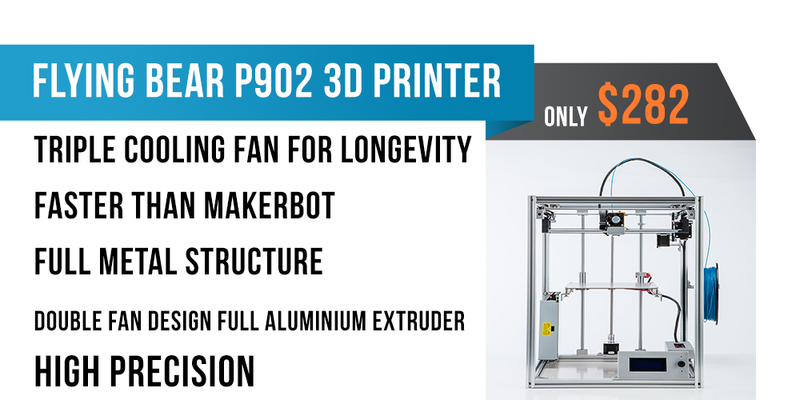 It's a good, massive printer. It works well, easy and fun to assemble it. The assembling introduction is pretty nice. It's not noisy which is important, it doesn't overheat. I would recommend it to anyone. So far I love my FlyingBear P902. I placed my order on April 18th and the package arrived last Monday afternoon May 1st. It was well packed and nothing was missing. 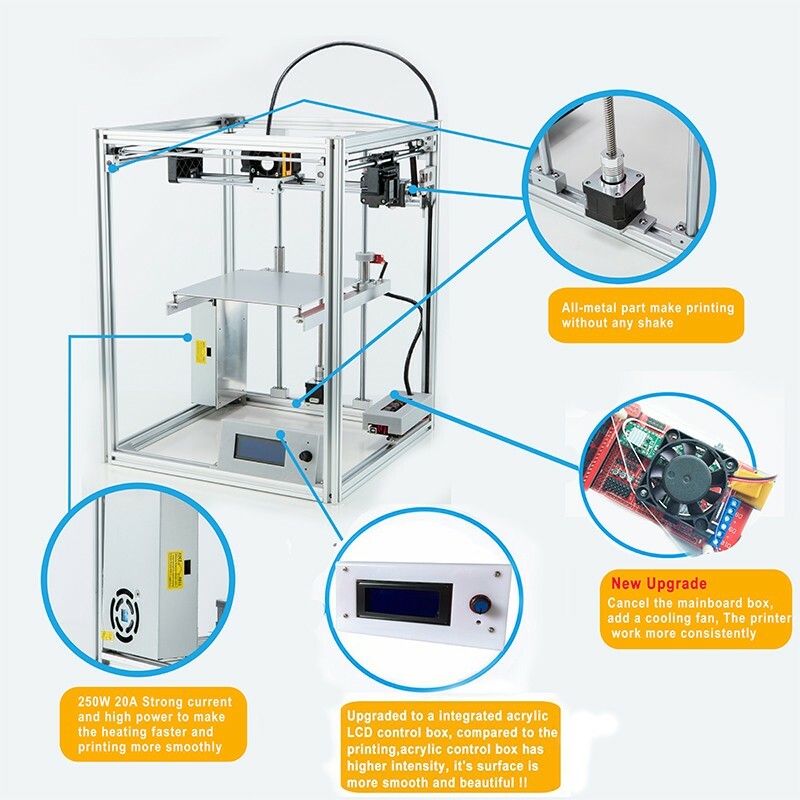 I strongly recommend 3D Printers Bay. 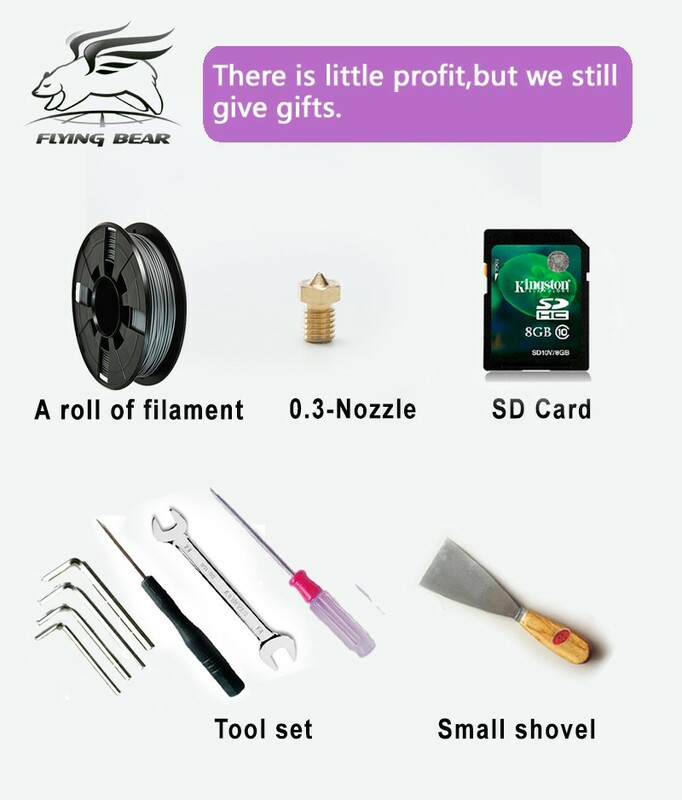 They are easy to checkout than many retailing shops and it is factory direct. I did not time the build. Assembly was easy, although a couple steps in the instructions are confusing. There are extra screws but some of the wires could have been longer. Relocating the controller made everything fit. There are plenty of online forums with helpful information to fill in any gaps. I printed my first part on Tuesday night. I've had it only a week but have not had a failed prints yet. The all aluminum frame makes the unit very rigid. Once everything is squared up and aligned the unit runs very smooth and quiet. 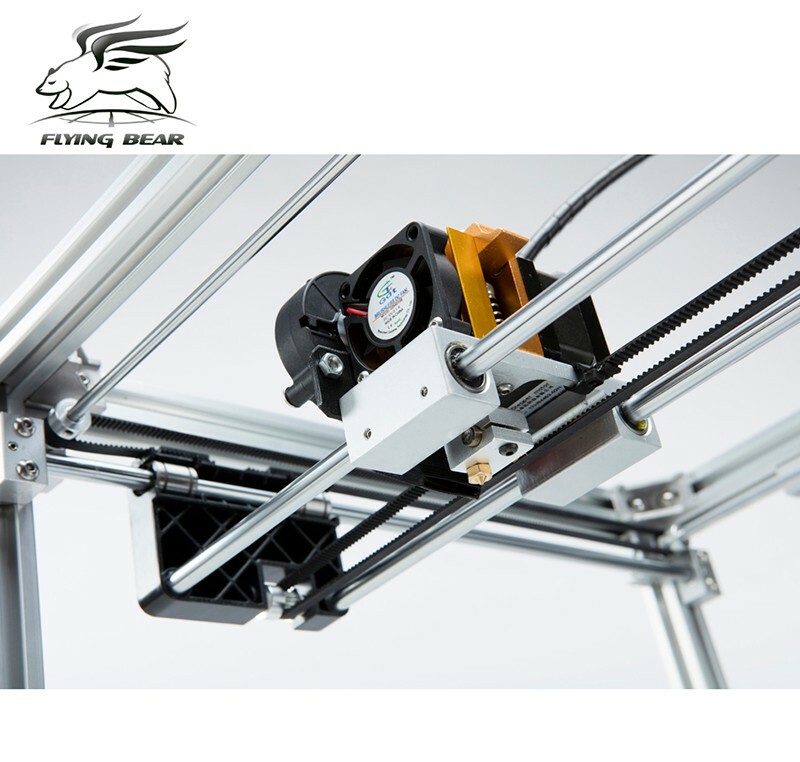 I would highly recommend the FlyingBear over most other units I have looked at. A lot more bang for the buck... The only complaint I have is the "free" wrench and phillips screwdriver doesn't fit anything on the printer.